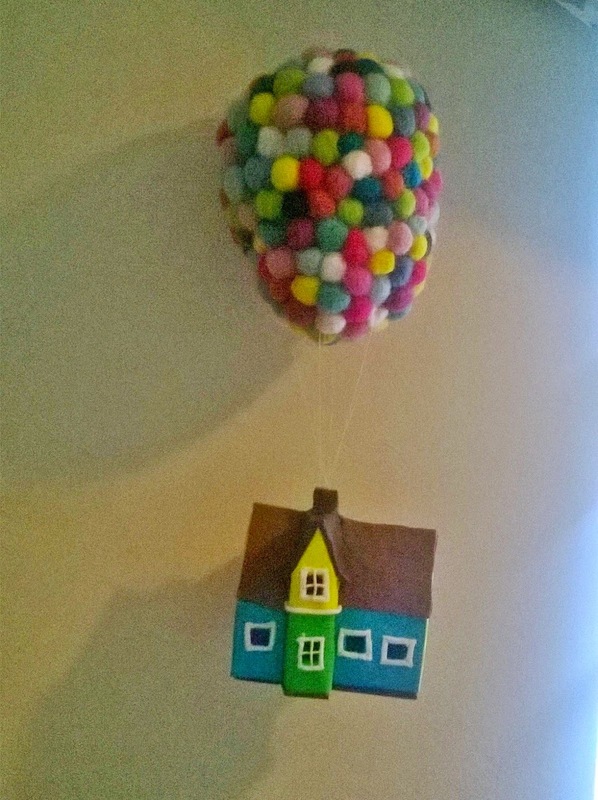 I seem to be the only person who has thought about making a mobile of the Up house, which I really can't understand. 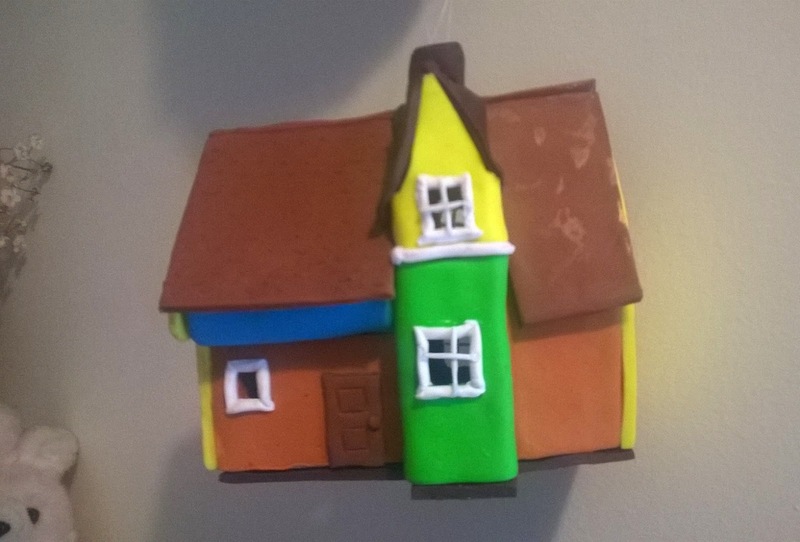 I got half way through making a felt house and then decided I could get more details on a fimo house. Not sure I made the right decision, but they seemed happy anyway. It is on a bit of a slant in this picture. 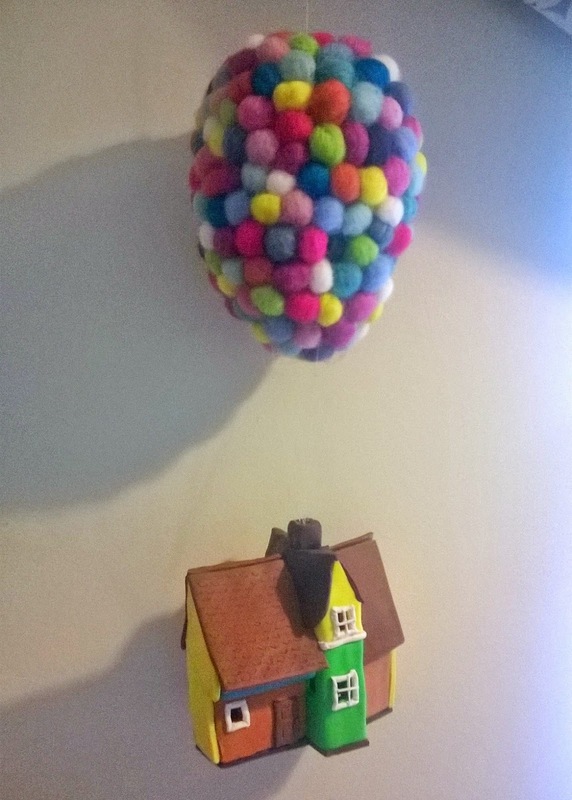 I had a lot of fun needle felting the balloons.